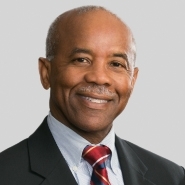 Porter Wright partner Fred G. Pressley, Jr., chair of the firm’s Labor and Employment Department, has been elected as Fellow of the College of Labor and Employment Lawyers. Election as Fellow is the highest recognition by one’s colleagues of sustained outstanding performance in the profession, exemplifying integrity, dedication and excellence. The College was established nearly 20 years ago through an initiative of the Council of The Section of Labor and Employment Law of the American Bar Association to further the profession as one uniquely important to the world of labor and employment law, individual rights, collective bargaining and dispute resolution. The College operates as an independent organization recognizing those who, by long and outstanding service, have distinguished themselves as leaders in the field. Pressley will be inducted as Fellow at the 19th installation of Fellows in Los Angeles on Nov. 8, 2014. With the current installation, the College is represented by more than 1300 members in 45 states, the District of Columbia, Puerto Rico and eight provinces from Canada.